This Caprese Salad has 195 calories, 11g carbs, 15g fat (most healthy fat from olive oil) and 11g protein per serving! That is a good amount of protein for a salad with no meat! Can I get an Amen! This salad is naturally gluten-free and vegetarian! 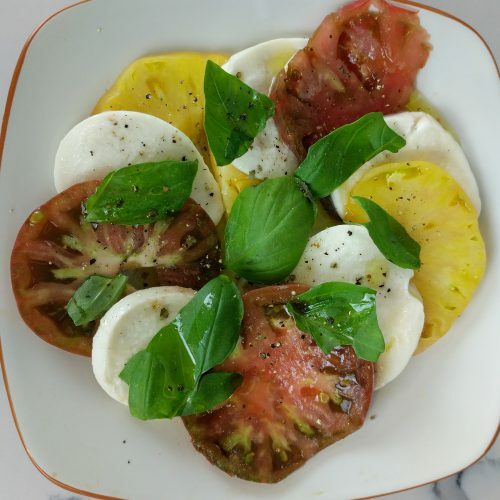 It is made up of heirloom tomatoes (although you can technically use whatever tomatoes look good at the time), buffalo mozzarella, olive oil, basil and cracked ground pepper. Voila! You’ll have yourself a beautiful salad in no time! 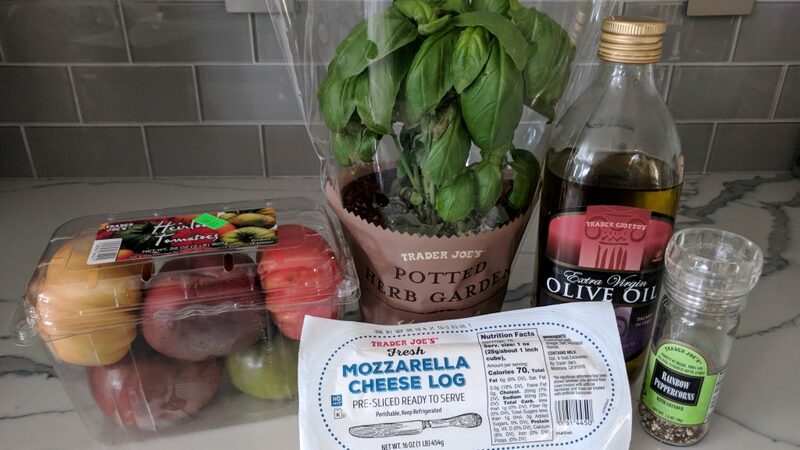 I bought all of the ingredients shown below at Trader Joe’s! 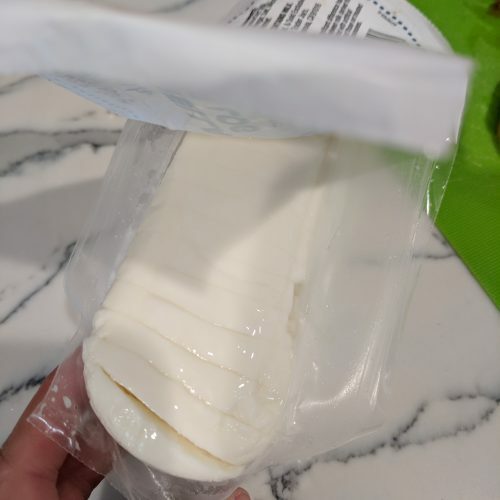 Trader Joe’s has awesome everyday prices and a nice sliced buffalo mozzarella that makes this dish super easy and affordable. If you are an unlucky soul that doesn’t live near a Trader Joe’s than I am sure you can find everything in your local supermarket. 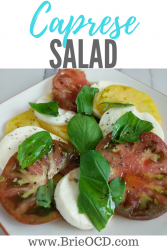 I hope you enjoy this easy and delicious salad! 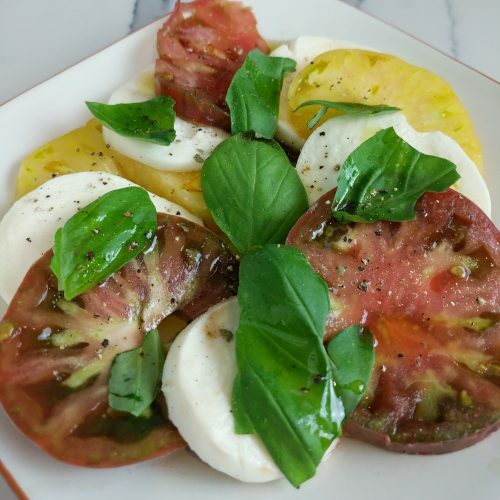 heirloom tomatoes and buffalo mozzarella with fresh basil! 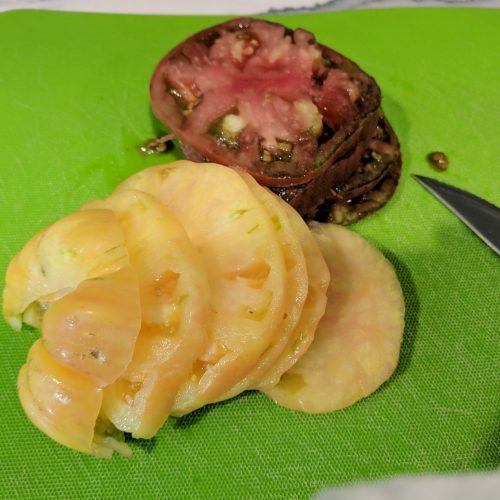 arrange tomatoes and mozzarella on a plate, alternating placement of cheese and tomato. place basil leaves on top, drizzle with olive oil and lightly season with cracked ground pepper.